Thugs Of Hindostan FINALLY To Release In Madhya Pradesh; Multiplex Strike Issue Resolved! Earlier, the state governments were levying entertainment tax on the exhibition of films in cinema theatres, including multiplexes. With the advent of Goods and Services Tax (GST), the entertainment tax levied by state governments was subsumed under the GST. However, the Madhya Pradesh government empowered local bodies within the state to start levying entertainment tax i.e. Local Body Entertainment Tax (LBET), in addition to GST. Multiplex Association of India (MAI) said that that this levy of Local Body Entertainment Tax (LBET) by Bhopal and Indore Corporations leads to double taxation on an industry which is already reeling under the impact of high tax rates and piracy, and could well sound the death knell of the film industry. In protest against the additional taxation, multiplex operators in Madhya Pradesh discontinued the operations from 5 October on all films in Bhopal and Indore. Now as the festive season of Diwali and Christmas is about to arrive, which yields a hefty business at ticket windows, the association has decided to call off the strike. 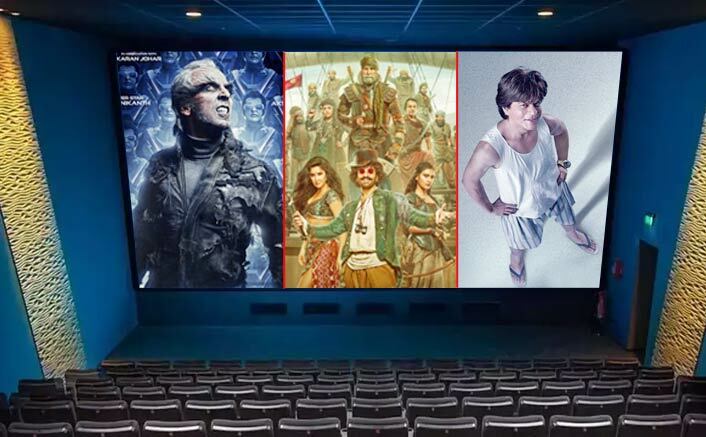 Although the multiplexes are comprising their profits, its indeed a good move as the much awaited movies like Thugs Of Hindostan, 2.0 and Zero, are geared up for the release. After first one to cross 10 & 40 Cr benchmark, Aamir may achieve first 50cr day for Bollywood..
Thugs of Hindostan to release in China on 28th December 2018. Thugs of Hindostan cleared with U/A certificate by Central Board of Film Certification. 8th Nov 2018 release.